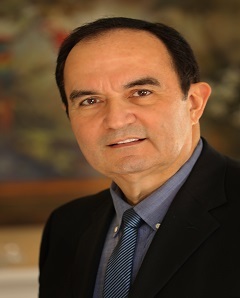 Ernesto Rivera completed Medical School at the University of El Salvador. He completed his internal medicine residency and cardiology fellowship at Mount Sinai Medical Center, Case Western University in Cleveland, Ohio. Dr. Rivera was a Clinical Fellow Division of Preventive Medicine at the Baylor College of Medicine. Dr. Rivera was in private practice in Fort Smith, Arkansas for 13 years. He served as an Assistant Clinical Professor of the University of Arkansas. Dr. Rivera served as the Director of the Cardiac Catheterization Laboratory at Sparks Regional Medical Center in Fort Smith, Arkansas. Dr. Rivera was also the Director of Cardiovascular Research at Sparks Regional Medical Center. He participated in multiple clinical trials as the Principal Investigator. Dr. Rivera was the Medical Director of Clinical Research at Amarillo Heart Group. These trials include among others acute myocardial infarction, peripheral vascular disease, hypertension, etc. Now he is the cardiology chairman at Northwest Texas Hospital. He is also the founder and coordinator of the vein center at Amarillo Heart Group. Dr. Rivera practices interventional cardiology. His special skills include: Stent Placement; Percutaneous Transluminal Coronary Angioplasty-simple and complex lesions; Diagnostic Right and Left Cardiac Catheterization; Exercise Stress Testing; Two-Dimensional Doppler Echocardiography; Peripheral Vascular Studies including Diagnostic and Percutaneous treatment; Temporary and Permanent Pacemaker Implantation; Intra-Aortic Balloon Counterpulsation Insertion and Removal; Acute Post-Bypass care; Bilingual-Spanish/English.